Linfield will have home advantage for the County Antrim Shield final against Ballymena United on 12 January. This follows a coin toss for the final venue on Wednesday night. The Blues progressed to the Shield decider after goals from Niall Quinn and Mark Stafford ensured a 2-0 victory over Carrick Rangers on Tuesday night. Ballymena earned their final place thanks to a 3-2 semi-final victory over Larne at Inver Park after extra-time on 1 December. 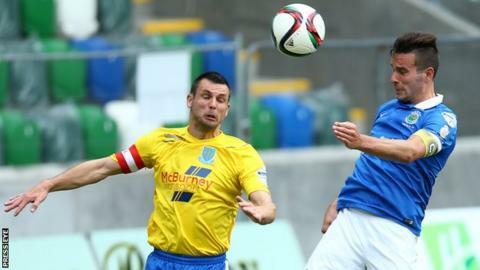 Three days before the Shield decider, Linfield will meet Ballymena in an Irish Cup fifth-round tie at Windsor Park.